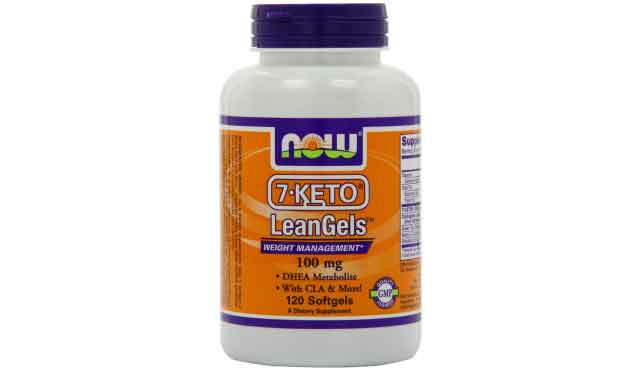 Now 7-Keto Lean Gels combined several effective and all-natural ingredients into an easy to take softgel. These ingredients work synergistically with 7-keto to further enhance the overall weight loss and physical performance benefits. For very inexpensive, in the next several weeks you’re going to do what you’ve never done before, lose more weight and at the same time improve your overall health and well-being. 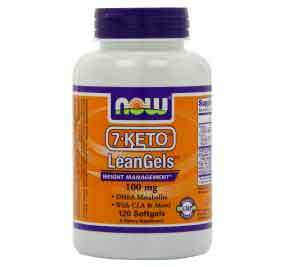 Now 7-Keto Lean Gels is one of our favorite 7-keto supplements currently on the market. Not only does it have 7-keto in its formula but it always includes several other effective ingredients proven to help with weight loss, energy, and performance. These all natural ingredients include Green Tea Extract, Acetyl-L-Carnitine, Rhodiola Extract, and Conjugated Linoleic Acid. Green Tea Extract and rhodiola will aid you with more energy, mental focus, and weightloss benefits. CLA and carnitine will further improve your bodies fat burning potential along with improving physical performance. You won’t be disappointed choosing this all natural non-stimulant 7-keto fat burner.